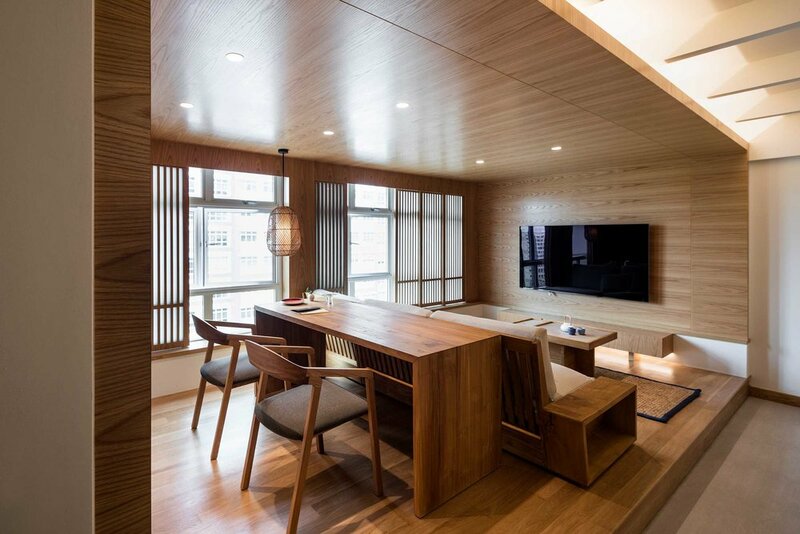 In West Singapore, local design firm Goy Architects has transformed a build-to-order apartment into a tranquil retreat for a young couple with a passion for Japanese culture and simple, calm design aesthetics. ‘Shizukokoro, which means ‘calm mind’, was the inspiration for this home. 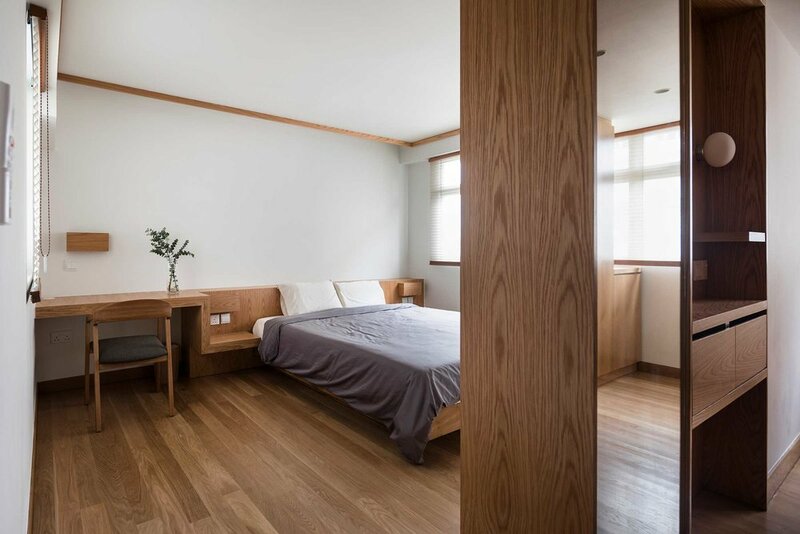 We wanted to create an intimate and calm environment that soothes and at best serves as an escape from the daily hustle,’ says Goy Zhenru, principal architect of Goy Architects. 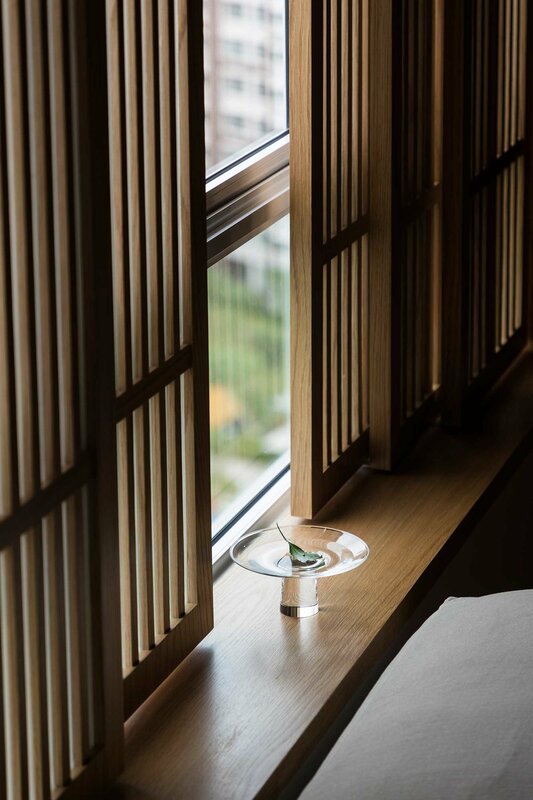 ‘Japanese ryokan were also a key source of inspiration. 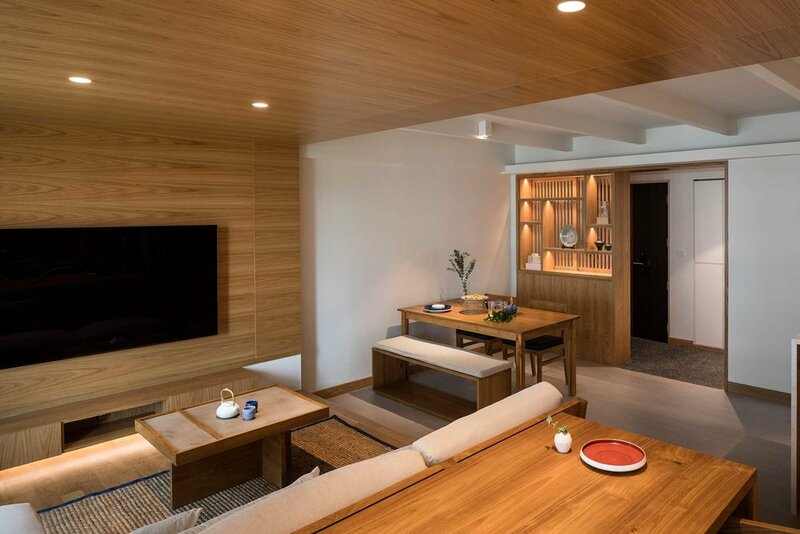 Traditionally, a ryokan is not just a place for travellers to sleep – it serves as a retreat and rejuvenation destination. We wanted this same design philosophy for our clients,’ Zhenru continues. 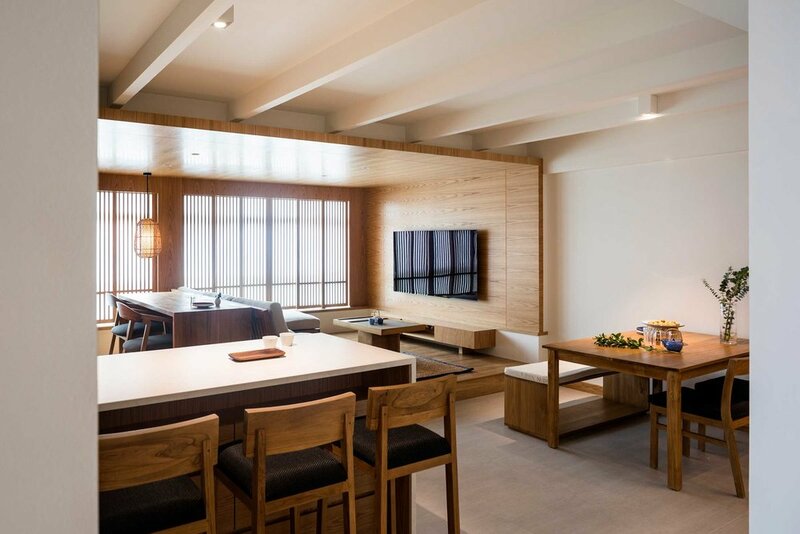 The traditional ryokan influences are clear to see, from the living room’s intimate raised timber platform and lowered ceiling to the strategic placement of shoji-inspired windows. According to Zhenru, ‘the frosted windows filter harsh external light and create a soft ambient glow in the living room. 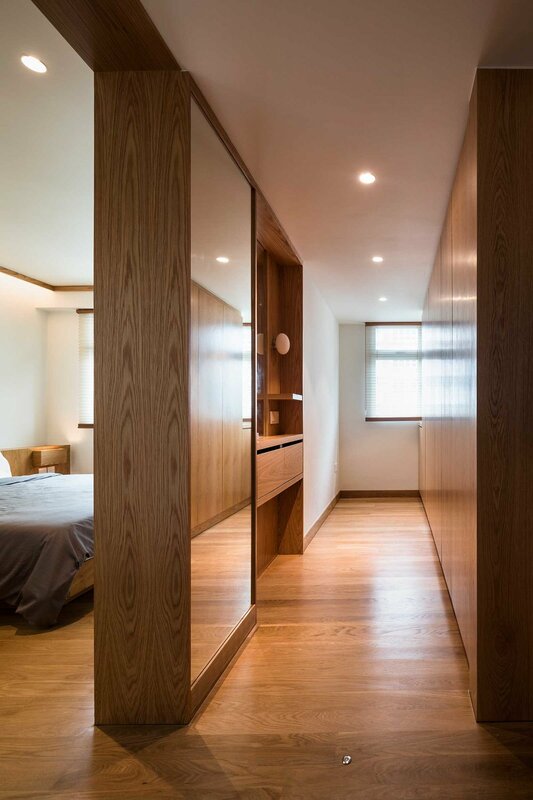 The visual noise from the adjacent building is also shielded away by these sliding windows.’ A genkan-like space at the entrance encourages guests to remove their shoes and accessories before entering the main living area, while other spaces are obscured and framed within the apartment. ‘We used simple geometry, and a natural and consistent material palette to create a calm environment,’ Goy explains. 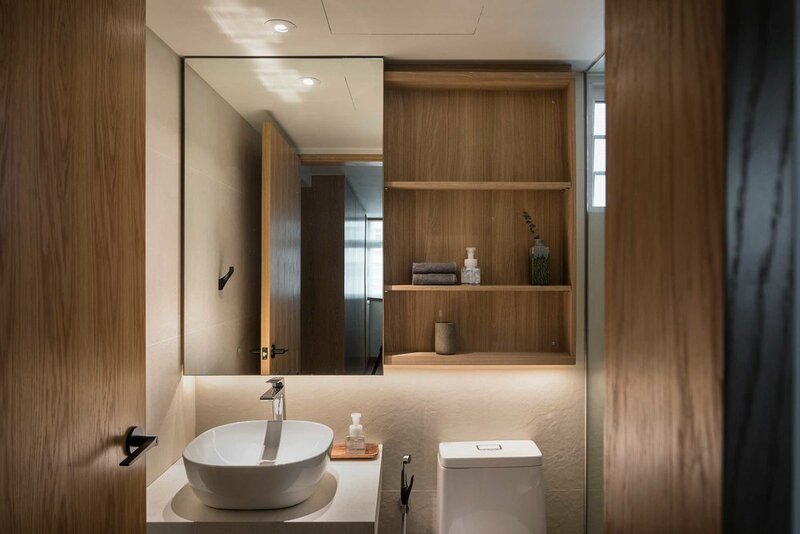 The Japanese aesthetic continues throughout the home, including the bathroom. ‘We had an interesting request from the owners for a simple tweak in the bathroom. Two shower holders allow the owners to sit on a stool while having a shower, a style of washing similar to onsen showering practices,’ Goy shares. 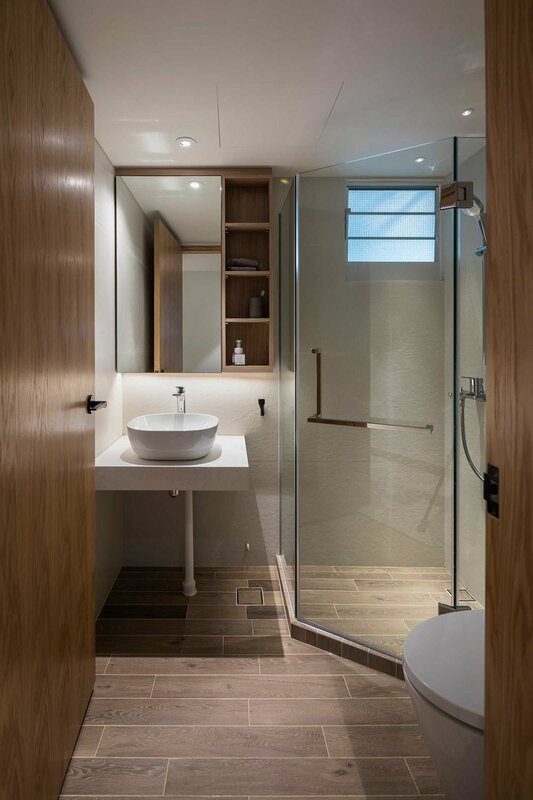 Serenity is echoed in a natural material palette combining stone, timber and pale white oak. 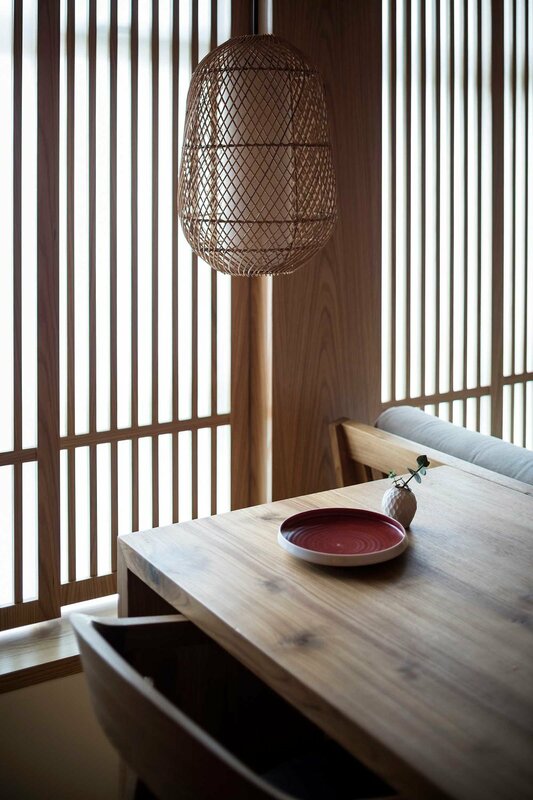 Goy’s team were keen to showcase the natural texture of the handcrafted objects and furniture such as a fine-sanded, unlacquered timber table and the hemp rug. 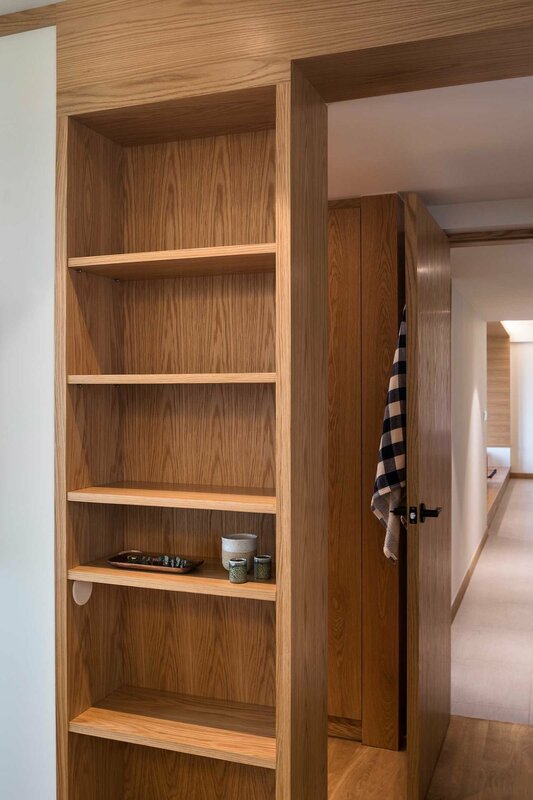 ‘The grains of the timber and stone remind us not only of the beauty that nature has given to us, but they are also a display of an accumulation of time and natural history,’ Goy explains. Most of the furniture was custom-made in collaboration with Javanese craftspeople, except for a small selection of furniture, ceramics and tableware. ‘One of my favourite designs is in the master bedroom. It has a simple, continuous geometry and design gesture; the desk, bedside table, bed frame and lamps are integrated in one simple unit. Another of my favourite details is behind the frame of the timber sofa. 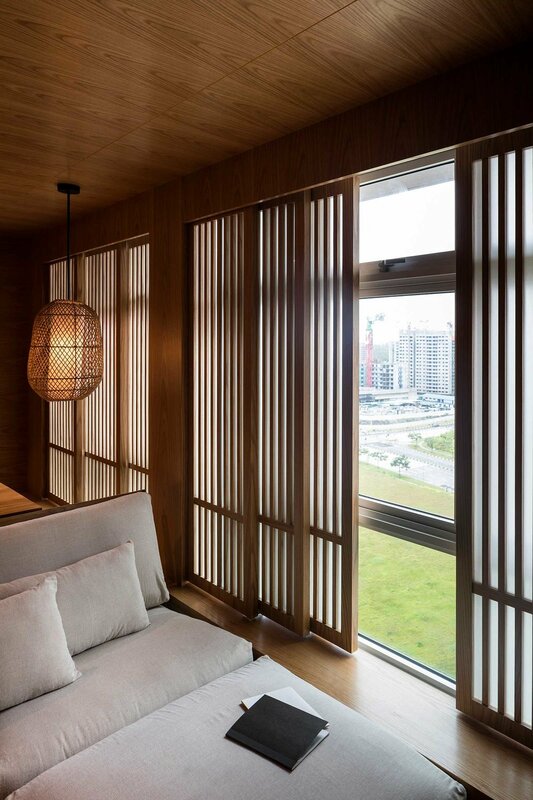 I love the timber slats that add a subtle texture into the overall living space,’ Goy says. 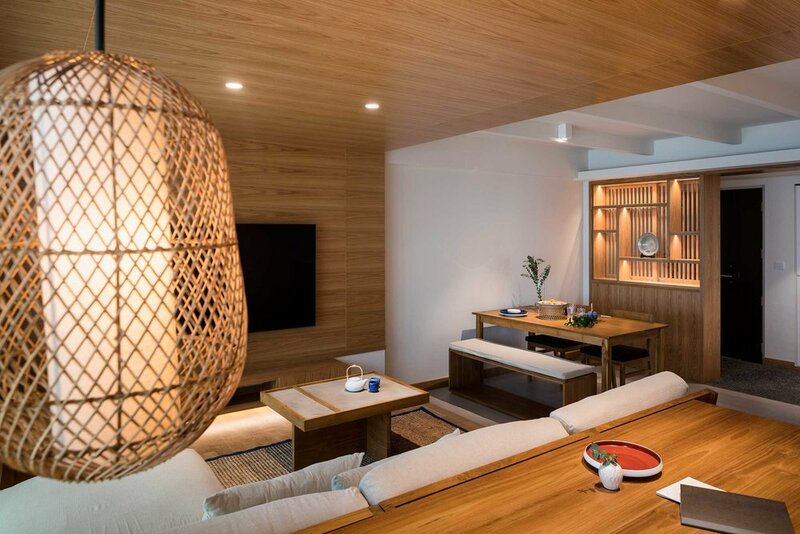 Evoking a sublime serenity, Shizukokoro is a calming abode where the homeowners can escape their daily hustle and embrace Japanese zen tranquility.